A 32-year-old man has been sentenced to more than two years in prison after pleading guilty to three burglaries, including an address in Syston. Wesley Westbrook, of no fixed address, received a two years eight months sentence for burglaries from properties in Curlew Close, Syston, All Saints Road, Thurcaston, and Luke Jackson Way, Stanton Under Bardon, between November 13 and 16 last year. Cash, high value electrical items and car keys were taken in the incidents. 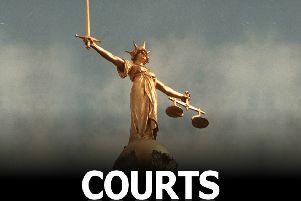 Westbrook was sentenced at Leicester Crown Court on Monday (March 14).